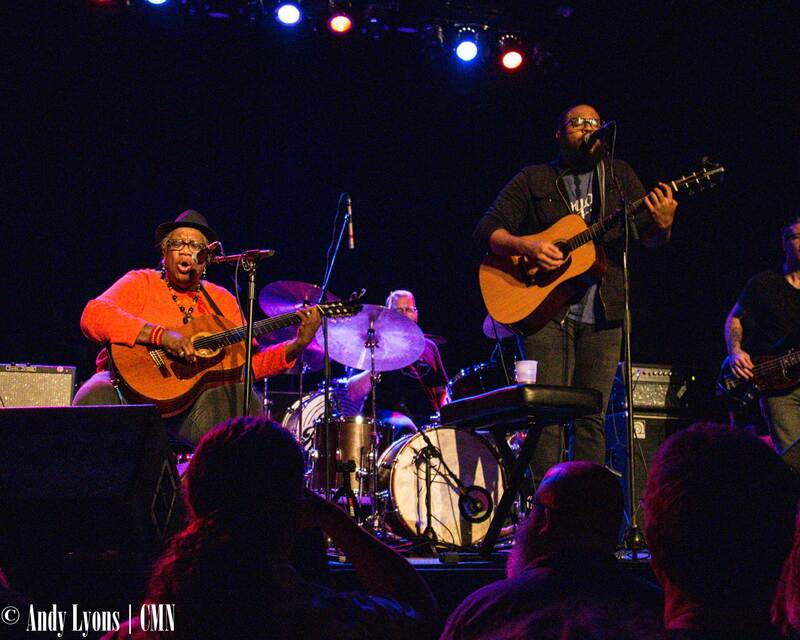 Earlier this summer, Madisen Ward and the Mama Bear released their sophomoric effort, a six-song EP titled “The Radio Winners,” and after a few one-off shows they hit the road earlier this month with The Record Company. “The Radio Winners” is a big departure from “Skeleton Crew,” the duo’s sound evolving from simply Madisen and Mama Bear Ruth on acoustic guitars and vocals to include an electric guitar, drums and bass. The simplicity behind “Skeleton Crew” gave the album a biting feel, the stripped-down sound piercing directly into the hearts of listeners. The same can be said about the bigger sound of “The Radio Winners.” The use of additional instruments and gang vocals throughout give the EP a bit more urgency, and drive the heaviness of the lyrics home. The evolution of the sound behind the new album gave reason for the Wards to do the same with their live set, something that surprised the Kansas City crowd Tuesday night. One of the most notable tracks from “Skeleton Crew” that has gone through the evolution is the group’s hit song “Silent Movies.” Hearing the opening chords through an electric guitar instead of the acoustic they’ve come to know, the crowd erupted in cheers for the song. Madisen also said having additional players on stage allows each individual to be more creative, which adds to a fuller sound coming from the stage. Similar to “Skeleton Crew,” the tracks on “The Radio Winners” are lyrically very dark. Yet, when coupled with the band’s sound, can seem like they reflect dark situations in a positive light. Madisen explained that was due to a reflection of his and his mother’s personalities. Bringing the new songs and new sound to their hometown crowd made for an exciting night for the group, far removed from the days of playing in coffee shops around the city. It meant playing in front of friends and family, people who know them personally, as well as in front of new fans along the way. Throughout the set, fans in the audience were singing along and dancing to the music. Each time Madisen or Ruth mentioned their KC roots the place exploded. There are few times when artists on stage look like they’re honestly having fun, as it’s usually part of their show. Yet the smiles and words exchanged between the Wards and their fans showed of a special connection, and one the duo drove home with a special encore that was just the two of them. For more, follow Madisen Ward and the Mama Bear on Facebook here. For the latest in local music, follow Central Mo New on Facebook here. Listen to our interview with Madisen and Ruth Ward below via SoundCloud.